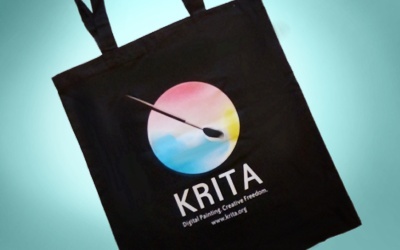 Checkout out all of the Krita merchandise and training material. 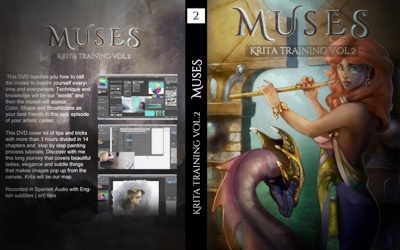 All proceeds go to support the development of Krita! Nearly five hours of instruction by professional artist Ramon Miranda. To obtain a digital version instead of a DVD, email foundation@krita.org with the paypal information. 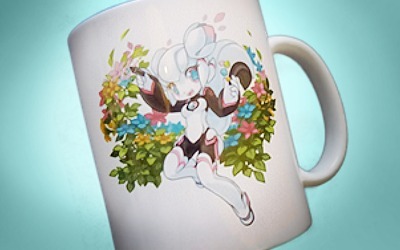 With the latest Kiki on it, makes drinking tea or coffee while painting a pure pleasure! We also have a merchandise shop through Zazzle where you can buy cool merchandise with artworks of our artists! What days of the week do you process orders?Monday through to Saturday, except for holidays and the occasional vacation. Shipping costs? Shipping costs are included in the price, as is VAT for orders from the Netherlands.